Crime Scene Resources, Inc. is a fifteen year company specializing in Crime Scene Investigation and Forensic Science information and instruction. 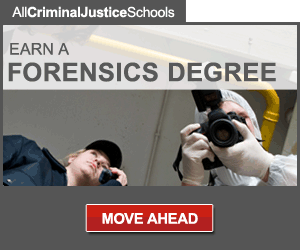 Crime Scene Resources utilizes its websites and newsletters to provide free resources for Crime Scene Investigation and Forensic Science. The President of Crime Scene Resources is Steven Staggs. For over 30 years Steve has been a crime scene investigation and forensic photography instructor and has trained more than 4,000 crime scene technicians and investigators for police and sheriff departments, district attorney offices, and federal agencies. He is also a guest speaker for investigator associations, appears as a crime scene investigation expert on Discovery Channel's Unsolved History, and provides consulting to law enforcement agencies. 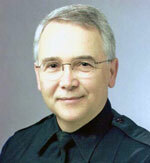 Steve has extensive experience in crime scene photography and identification. He has testified in superior court concerning his crime scene, evidence, and autopsy photography and has handled high profile cases including a nationally publicized serial homicide case. Steve is the author of the book Crime Scene and Evidence Photography, now in its second edition, and the Crime Scene and Evidence Photographer's Guide, a field handbook for crime scene and evidence photography, which is in use by investigators in more than 1,000 law enforcement agencies. Steve retired in 2004 after 32 years in law enforcement, but continues to teach crime scene investigation and forensic photography at a university in Southern California. Copyright 2009–2015 Crime Scene Resources, Inc. All rights reserved.